Looking for great apps at a fraction of their regular cost? 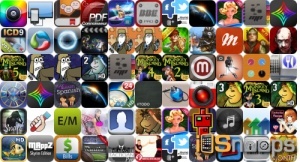 We’ve found 61 iPhone, iPad and iPod touch apps that are currently on sale. This app deal alert includes Monkey Island Tales, Hector Eps, Bit-1, Warring States XD, iTeleport, Meernotes, Zombie Crisis 3D, and many others. Cocktail Bar Recipes 7,800+ CocktailApp!